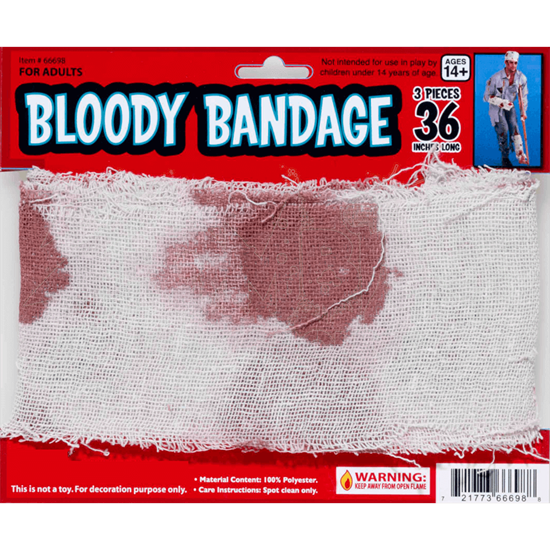 This Roll of Bloody Bandages is the perfect choice for simulating the field dressing a zombie survivor might have covering their wounds or the wrap that might be found on a zombie, applied after infection but before zombification. 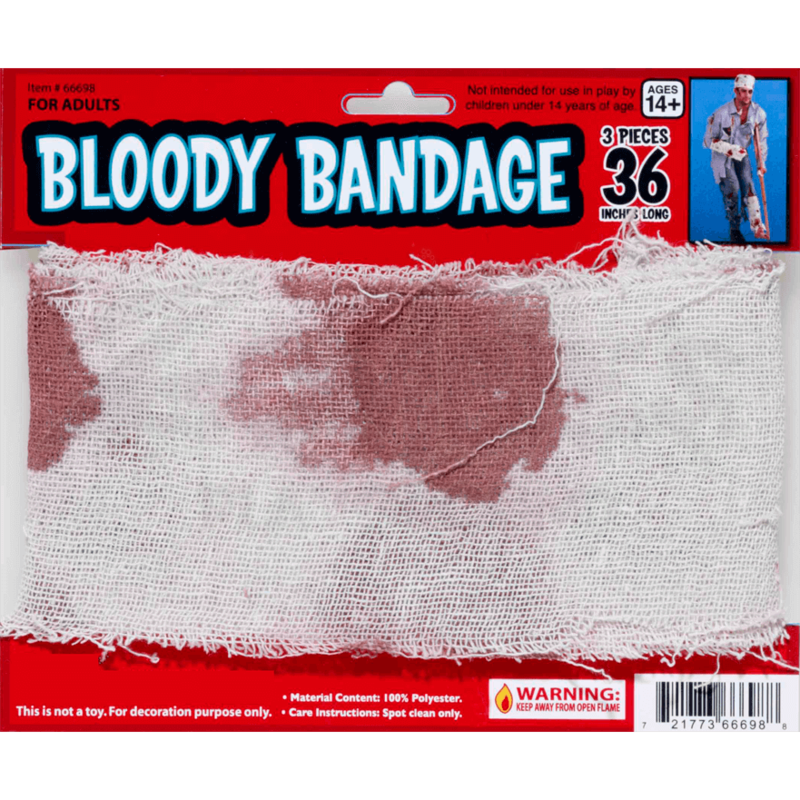 Each length of bloody bandage looks and feels like ragged gauze bandaging, which only helps to give it, and any costume it is used with, a realistic and true-to-life look and style. Each roll of bloody bandage measures 15 feet long and 4 inches wide. It has a dirty, white appearance that has been stained with dark, dried blots of blood, which means any wound that is wrapped will look like the blood has had time to soak into the bandage and dry. This bandage can be cut, ripped, torn, or tied in order to secure it and shape it to your needs. It can also be stained with fresh fake blood to give it a wetter, more recent look! If you want to simulate a recent and realistic looking zombie attack, there is no better way than to wrap yourself up with the Roll of Bloody Bandages!